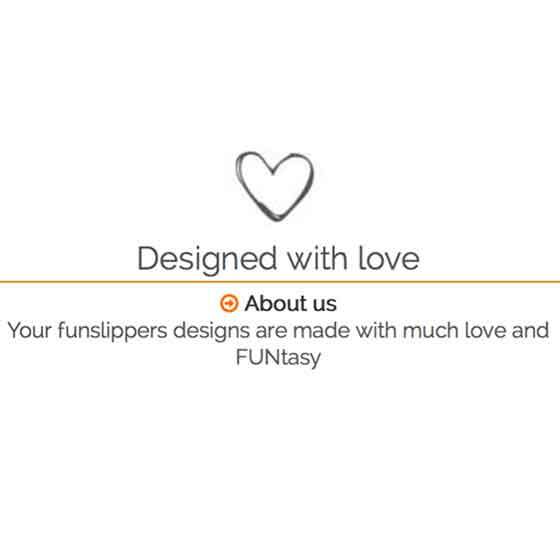 Funny slippers & paw slippers by funslippers® - More FUN for your feet! Does this sound familiar? You're sitting on the couch in the evening and have chilly cold feet? What helps now, is either a hot bath or nice warm funny slippers funny slippers. 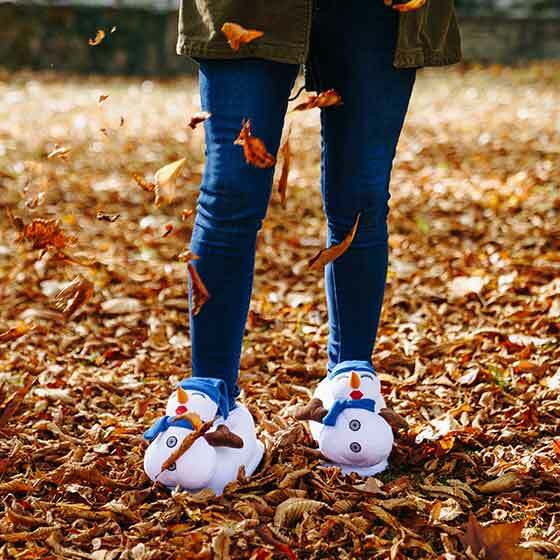 Our motive Slippers are not only warm and cuddly, they conjure huge smiles to their owner's lips. Cosy plush slippers for women and men are a wonderful alternative to traditional slippers, because they are just fun. True to the motto More Fun Everyday you will also find a hughe variety of plush slippers and plush boots. Subscribe to get exclusive offers and special coupon codes. We reward you with a 10% coupon code for your next order**. Sorry, the eamil address you proved seem wrong. Please recheck your input. Thank you very much for subscribing to our newsletter. It's almost done. To get the coupon code please confirm using the link in the email we just sent you. For the ladies with cold feet our cosy plush lady house boots will be best choice: warm, fashionable - a real must-have. Our female customer also love the Funny slippers for her, plush slippers and wild paw slippers. However, not just women have cold feet and are looking for warm slippers. Men also want to buy plush slippers but sometimes just small sizes are available. 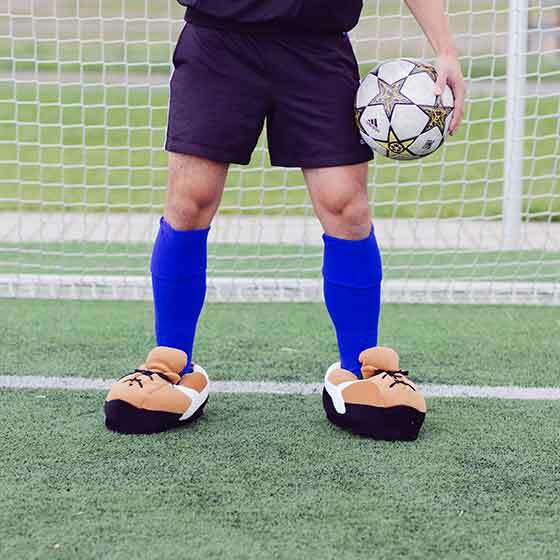 funslippers® has a wide range ofoversize plush slippers for men up to size 50 either animal slippers, paw slippers or plush sneakers. Animal Slippers are also suitable for sizes 45, 46, 47, 48 and 49 as funny gifts. With the durable rubber sole these cool slippers with animal motif make real fun to wear. Our paw slippers with claws in many patterns and sizes are also very popular for men. Cuddly plush slippers come perfect as funny gifts for your loved ones, birthdays or weddings. Fancy footwear like claws slippers in a wide range of sizes are a great Christmas present or an unusual gift idea at the office do. The unique stylish home boots specially for the ladies do not only look good, but are very comfortable to wear because of the thick cushioned sole and the cuddly fleece lining. The rubberized soles of animal slippers from our onlineshop provide a secure grip and also protect the floors. With these fun slippers your gift will be the attraction at every birthday or Christmas party, because funslippers are an original gift idea. In February, when it is still very cold, why not surprise your boyfriend or your girlfriend with crazy monster paw slippers? These stylish slippers are a proper gift for Valentine's Day. The funny-animal motifs of funny slippers will definitely cheer up and they are the best recipe against winter blues. funslippers® funny slippers are a perfect match as slippers for two. 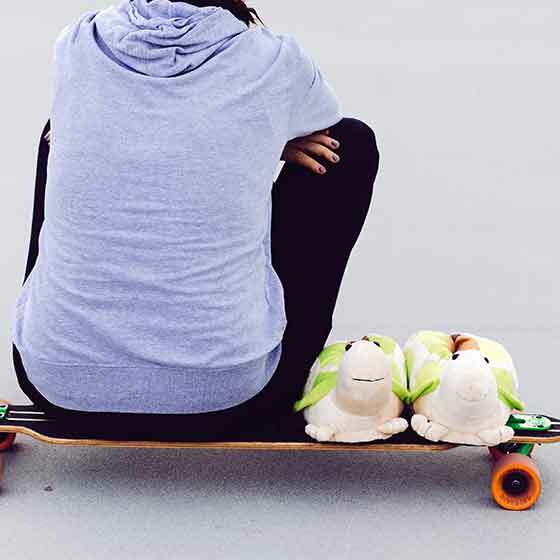 You will always have your plushy counterpart around and on top of that you get them for a very special discount price. 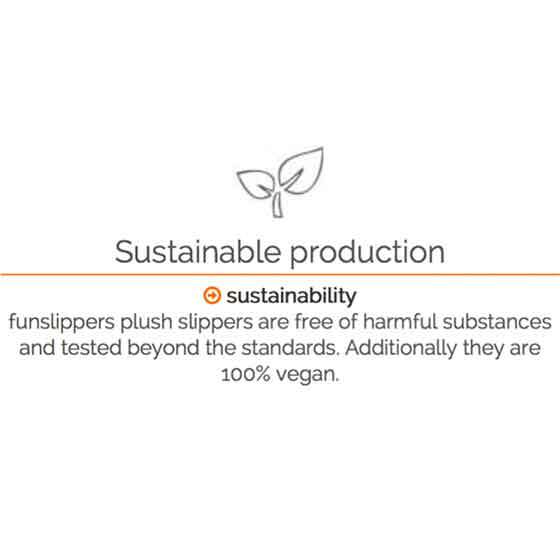 funslippers® branded slippers are animal friendly vegan shoes. For us quality of crazy slippers is so important that our animal slippers have a thick, double padded insole. The outer sole is rubberized, so it lasts long contrary to cheap fabric soles. 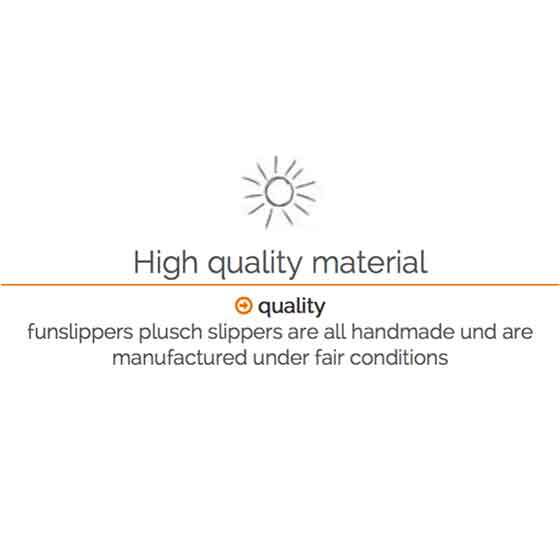 The material of our slippers is checked for harmful substances on a regular basis by TUV Rheinland so you will have a good conscience wearing funslippers. We offer you premium slippers in high quality and without pollutants. We are sure quality and design of our plush slippers are convincing. 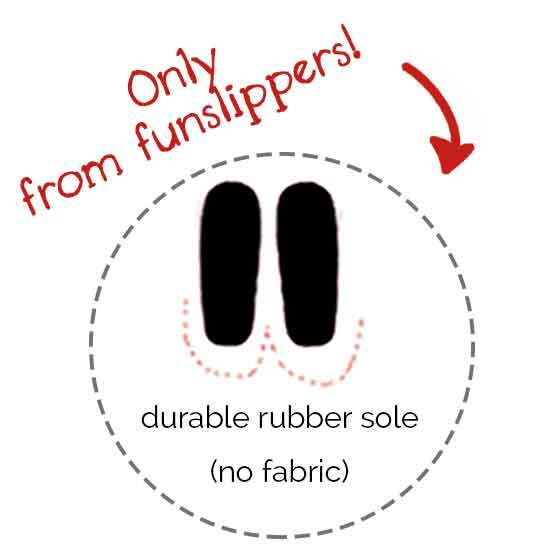 funslippers® eventually puts an end to boring slippers!